Fans of Torchlght II may remember that word or an official editor has been passed around. In a great twist of humor, Runic Games decided to release the finished editor on April 1'st...except it wasn't a joke. The new editor is named GUTS, and it will allow players to create, tweak, customize, and explore new possibilities in the world of Torchlight II. Runic refers to GUTS as their "in-house development tool." It allows for modification of almost anything in the game, such as skills, level layouts, animations, quests, and items. The mods created in GUTS can be easily shared with friends, and multiplayer games that utilize GUTS features can be found in the modded games lobby. There is also a new handy launcher that allows the player to choose which mods are currently active. When you play a modded game, you can view the mod history, previously played mods, and the impact that disabling a mod will have on your character as well. You probably already know that modding isn't new to Torchlight II. Runic knows this too, and they have included a special tool that will enable you to convert your pre-GUTS mod into an official GUTS one. The goal is to open the playing field for modders of all levels, and to create a community that can easily share their creations with others. To that end, GUTS features full Steam Workshop integration. This allows for things such as mod subscription and synchronization for new mods. 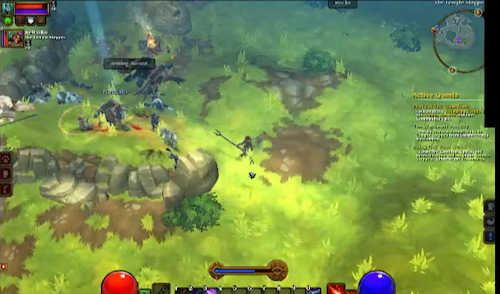 There is a lot of creative potential packed in with the GUTS editor for Torchlight II. Perhaps we can make our wildest dreams come true...or at least create some fun and exciting weapons and scenarios. There is certainly some creative potential for a great cooperative experience out there. For more information and tips on using GUTS, Runic recommends you visit the Torhclight II GUTS wiki.